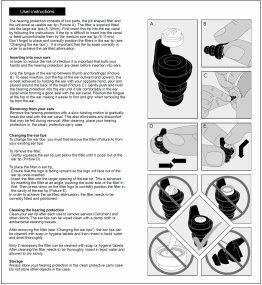 PROTECT YOURSELF FROM HEARING DAMAGE by wearing these cutting-edge noise reducing earplugs whenever you need to be around firearms or get exposed to explosions or even impact tools such as air wrenches, nail guns or drop hammers. REDUCE NOISE LEVELS WHILE STAYING ALERT; The Earmonix Shooting & Impact Earplugs are designed for outdoor shooting environments to reduce the amount of high-impulse noise while allowing you to hear voice and sound directionality. MADE OF MEDICAL-GRADE TPE which is means they’re extremely comfortable and safe to use. 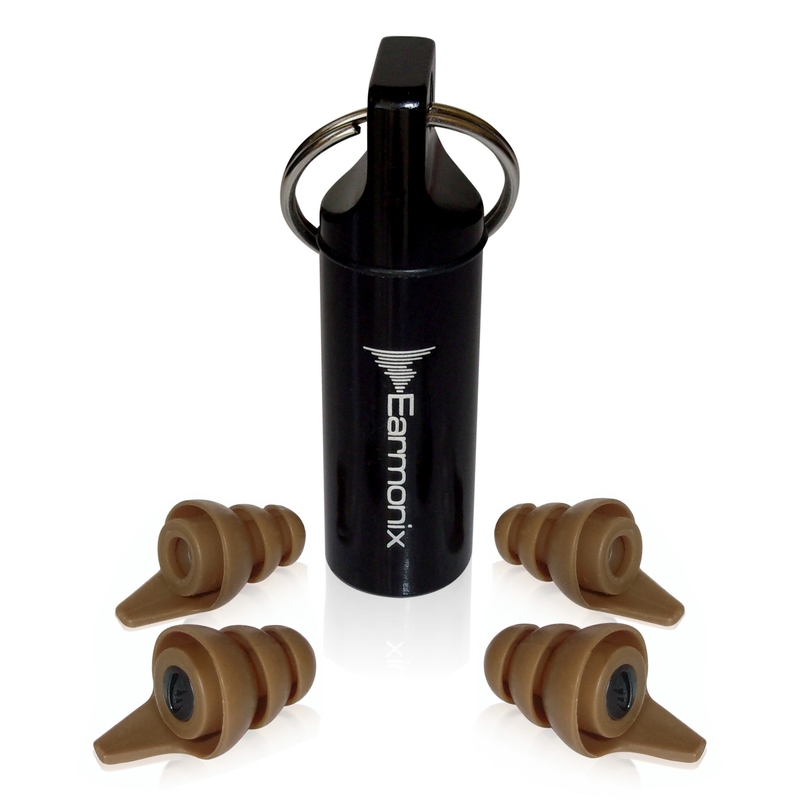 Earmonix Shooting & Impact Earplugs are hypoallergenic, so you don’t have to worry about developing allergic reactions. 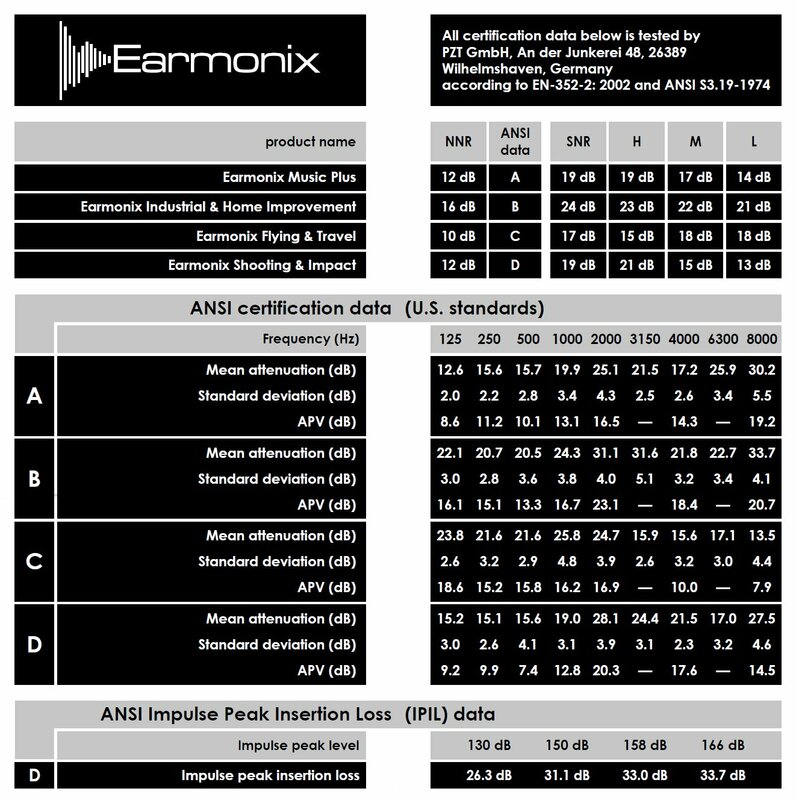 ANSI IPIL certified for impulse noise up to 166 dB where it provides 33 dB of attenuation, for indoor ranges these should be used along with earmuffs for optimum protection. There small size also means you can wear them under your earmuffs or communication headsets without any trouble. THE EARPLUGS COME IN TWO SIZES which means you’ll have the right size that perfectly fits your ear and provides excellent hearing protection and comfort. If you work in the military or law enforcement, getting exposed to the noise of gunshots and artillery shots is a fact of life. Unfortunately, this “fact of life” can lead to hearing loss in the long run —and even right away, depending on where you’re stationed. The American Speech Language Hearing Association points out that exposure to 140 dB can result to permanent hearing damage. 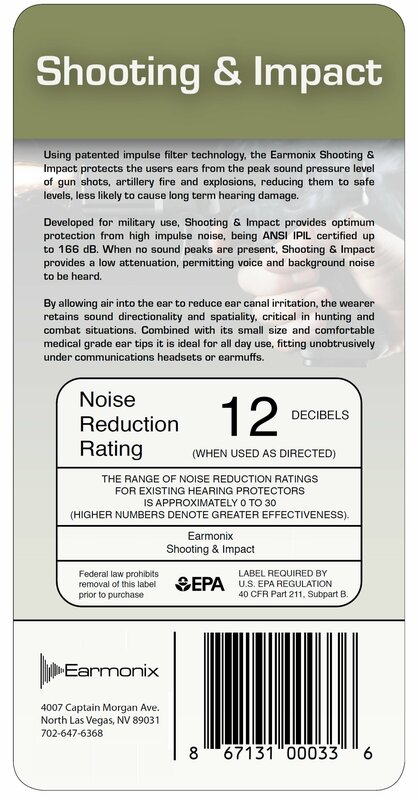 However, almost all firearms make noise that go beyond 140 dB, which means that you can experience serious hearing damage while doing your job. To prevent this from happening, the best thing you can do is to wear noise-canceling hearing protectors like the Earmonix Shooting & Impact Earplugs. They are specially designed to protect the wearer from the noise made by gunshots, explosions, and artillery shots. These ear plugs are designed for outdoor shooting and if used for indoor shooting ranges they should be in conjunction with earmuffs. 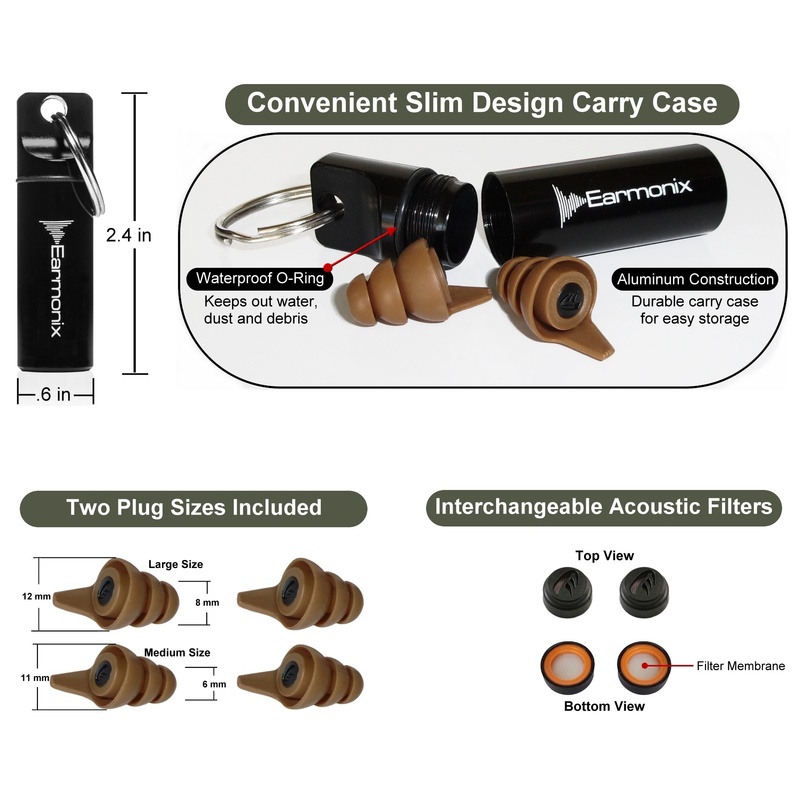 Unlike solid foam earplugs the Earmonix Shooting & Impact Earplugs are specially designed to protect your ears from loud sudden noises such as gunshots or explosions while still allowing you to hear what’s going on in your environment. When there is no high-impulse noise present, the earplugs provide a lower NRR rated 12dB noise reduction this allows you to hear background noise as well as the voices of the people around you. When sudden loud noises occur the reactive filters can provide up to 33dB of noise reduction protecting your hearing from damage. With their special design, they let you retain sound spatiality and directionality when needed, so you can easily tell where sounds come from. These are all critical in military and law enforcement work since you have to be constantly alert and aware of even the littlest details that will help you make split-second decisions. The Earmonix Shooting & Impact Earplugs are reusable and easy to clean; simply wipe them with antibacterial tissues or a damp cloth after each use to keep them hygienic. They also come with a slim-design carry case that protects the earplugs and keeps them away from dust and dirt.